Dani Reiss has been part of the Kehal Kodesh staff for the past four years as the Student Support Specialist. She grew up in Cincinnati as a member of Rockdale Temple. She is a former high school teacher and currently teaches at the University of Cincinnati. Dani resides in Amberly Village with her husband Matt and their two children, Vada and Shai. Anna Meyers was born and raised in Rhode Island, and enjoyed every minute of living in the Ocean State. One of Anna's favorite parts of growing up near Providence was spending time at Temple Beth-El, developing a passion for Reform Judaism and Jewish education. Anna continued her Jewish education at Northeastern University in Boston, earning a B.A. in Jewish Studies in 2015, and participating in Jewish life as an intern and a student board member for Northeastern Hillel. Anna stayed in Boston following graduation, working for Northeastern Hillel as the Director of Jewish Student Life and as a Grade 3 Religious School Teacher at Temple Israel. Anna greatly enjoyed the Israel travel opportunities working for Hillel, staffing three Birthright trips and two Alternative Spring Break volunteer programs. Largely due to her Israel travel with Hillel, Anna decided to spend a year in Ashdod through Masa Israel's Teaching Fellows program. After completing her first year of Rabbinical School at HUC-JIR in Jerusalem, Anna is excited to continue her studies in Cincinnati, and serve as the Madrichim Coordinator at Rockdale Temple, an educator for Kulanu, and a student rabbi at B'nai Israel in Grand Fork, North Dakota. Jennifer has been teaching at Religious School for 15 years! She has taught art, cooking, and grades Pre-K through 8th. She has also taught at Leaves of Learning, and the Super Saturday Program. While she's not teaching at Religious School, she is the Chaverim supervisor for the Jewish Federation of Cincinnati. Zachary Goodman is entering his fifth and final year at Hebrew Union College where he is studying to become a rabbi. Before moving to Cincinnati, he grew up in Dallas, TX and attended college at the University of Texas in Austin. Zachary has a deep passion for Israel, Jewish music and life-long learning. In addition to his role as the music specialist at religious school, Zachary will be serving as Rockdale Temple's rabbinic intern during the 2018-2019 academic year. Feel free to stop him and introduce yourself if you see him around town! He is always excited to meet new people and make new connections! Frances (Frannie) Kahan was born in Cleveland but very soon after moved with her mother, father and two older sisters to California where she grew up. She received her BA in Art History, minor in Jewish Studies, from Colgate University in 2014. She has an arts and crafts business, From Stitches to Kinks, and currently works as Cultural Arts Manager at the Mayerson JCC. She has enjoyed teaching at Rockdale Religious School since 2016. Julia is an Early Childhood Education major at the University of Cincinnati. She has worked in infant, preschool, and school-aged classrooms as well as being a camp counselor back in Cleveland. Along with classroom and camp experience, Julia has babysat for years. Julia is passionate about Judaism as well as Early Childhood Education. She cannot wait to create a fun, loving, and creative environment every Sunday in her classroom! Emma Duhamel will be teaching 2nd and 3rd grade religious school this year. She's originally from Cleveland, OH, but is currently attending the University of Cincinnati seeking an undergraduate degree in Philosophy. Throughout high school, Emma served on her temple youth group board, gaining experience in programming and innovative t'fillot. This past summer, she was a counselor and programmer at the URJ 6 Points Creative Arts Academy for their inaugural summer. 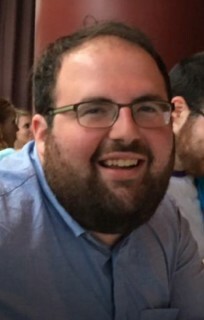 Michael Weiss is a 4th year rabbinical student at Hebrew Union College and looks forward to teaching the 4th grade class at Kehal Kodesh Religious School this year! He grew up in Connecticut but spent the past 10 years living in Toronto, braving cold winters and learning the polite ways of the native Canadian. Michael studied at McGill University in Montreal and learned almost no French, but can identify a good croissant. In his free time, he enjoys listening to music, cooking recipes from every continent, and spending time in nature. He looks forward to getting to teaching and learning from you all! This is Linda's third year of teaching 5th grade. Linda is originally from England but has been in the USA almost 30 years. She has a degree in Nursing from Case Western Reserve University and works full-time at Bethesda North Hospital. She converted to Judaism in 2012. This past April, she celebrated her Bat Mitzvah here at Rockdale. Linda sings in the choir and has been active in social action projects. She also teaches Nonviolent Communication. 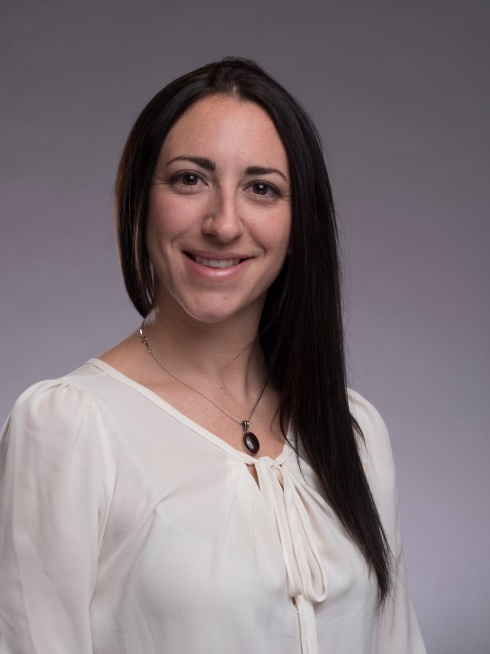 Samantha Schapera grew up outside of Cleveland, and moved to Cincinnati in 2009 to attend UC where she received her BA in Jewish Studies and Women's Studies. Sam worked for a year as a nursing assistant at Cedar Village after college, and then moved to Israel to attend her first year at HUC. She is currently in her fifth year and will be ordained in May. Throughout this year, Sam will be working at Cedar Village as a rabbinic intern, and will be serving a congregation in Joplin, Missouri as student rabbi. She married her husband Jason in 2016, and they had a baby girl, Adina, this past summer. This will be Sam’s seventh year teaching at Rockdale, and she is so excited to return for another great year! 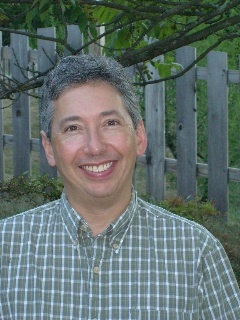 Rabbi Matthew Kraus graduated from Walnut Hills High School in 1981 and Harvard-Radcliffe College in 1985. He received his Ph.D. in Classics from the University of Michigan in 1996 and was ordained from Hebrew Union College - Jewish Institute of Religion in 1991. His main interests include the history of biblical interpretation and Judaism in the Greek and Roman worlds and he recently authored a book, Jewish, Christian, and Classical Exegetical Traditions in Jerome’s Translation of the Book of Exodus: Translation Technique and the Vulgate (Brill, 2017). He is currently associate professor of Judaic Studies at the University of Cincinnati. Rabbi Kraus loves working with all ages. He teaches the local Union for Reform Judaism Introduction to Judaism class, has taught 7-8th grade religious school for over 10 years, and numerous adult education courses. He has also served as rabbinic faculty at Crane Lake Camp and Goldman Union Camp Institute. His interests include reading, skiing, biking, golf and short walks to the beach. Tzvia Rubens (Zvee-ah / צביה) will be co-teaching Rak Noar this fall. She is a Rabbinic Fellow from Hebrew Union College - Jewish Institute of Religion here in Cincinnati. She just came back from her Year-in-Israel where she spent the majority of her time in Jerusalem, along with the opportunity to study and explore the rest of the country. Tzvia is very excited to be at Rockdale this fall. She previously lived in Cincinnati prior to Israel, where she received a Graduate Certificate in Judaic Studies from UC, and has fond memories of the lovely Rockdale community. She hopes to bring her enthusiasm for Judaism and her boundless amount of creativity into the classroom. She looks forward to a great year together! Rabbi Judy Spicehandler grew up in Cincinnati and Jerusalem. After serving in the Israeli Army, she returned to the United States to attend the University of Chicago (BA) and the School of the Art Institute of Chicago (BFA, MFA). 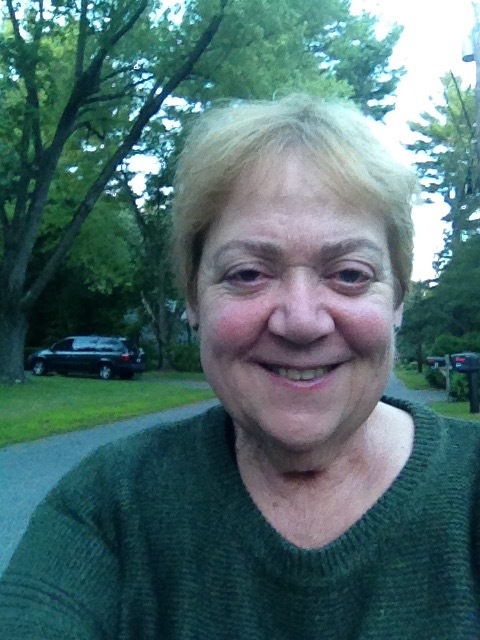 Since being ordained at HUC in Cincinnati in 1999, Judy has served as Rabbi Educator at Congregation B’nai Tzedek in Cincinnati, North Shore Congregation Israel in Glencoe, IL, and Congregation Beth El of the Sudbury River Valley in Sudbury, MA. She enjoys studying with friends, teaching Hebrew to people of all ages, and playing with her golden retriever puppy. 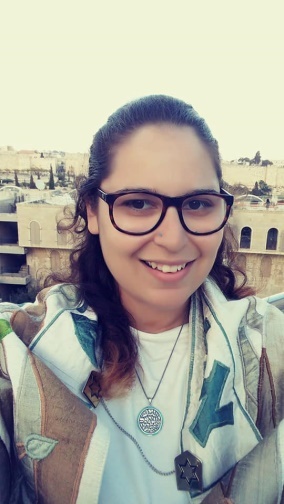 Yael Dadoun has had a strong connection to Jewish education after graduating with a Masters in Religious Education from the Hebrew Union College - Jewish Institute of Religion in New York. She continues to invite people of all ages to explore their Jewish journey with her. Yael has worked in the Jewish world for over ten years as a teacher, youth director, and program developer. 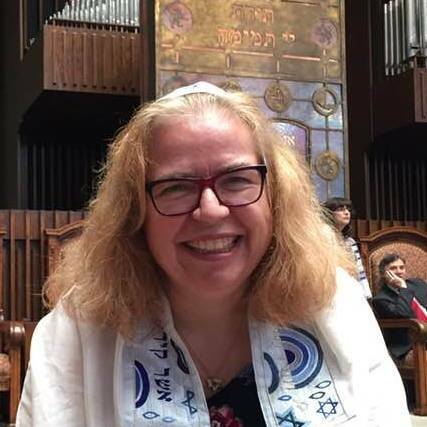 Most recently, Yael was the Director of Education and Principal of the Religious School at Temple Beth Sholom in Miami Beach, FL and served as soloist for other synagogues in the area as well. Having been born into a Moroccan-Tunisian-Israeli family, she is passionate about integrating Israel meaningfully into the lives of her learners in order to create a well-rounded Jewish experience. She is so excited to continue her Jewish journey as rabbinical student at HUC-JIR in Cincinnati as a 4th year student. Jason is a long-time Cincinnati resident, but is originally from Capetown, South Africa. He has received degrees from the University of Cincinnati and Hebrew University in Jerusalem. He is a graduate of Hebrew University's Hebrew language Ulpan program, and has taught at Rockdale's religious school and Hebrew school since 2013. He is a current staff member at Hebrew Union College's Klau library, where he works in digital preservation of rare books and manuscripts. Jason is passionate about Hebrew education and Jewish literacy, both communal and ritual. In his spare time, Jason likes to read science fiction and fantasy, play Dungeons and Dragons, and practice the ukelele.